There are quite a few web sites these days that will send you notifications when you visit them via Safari. 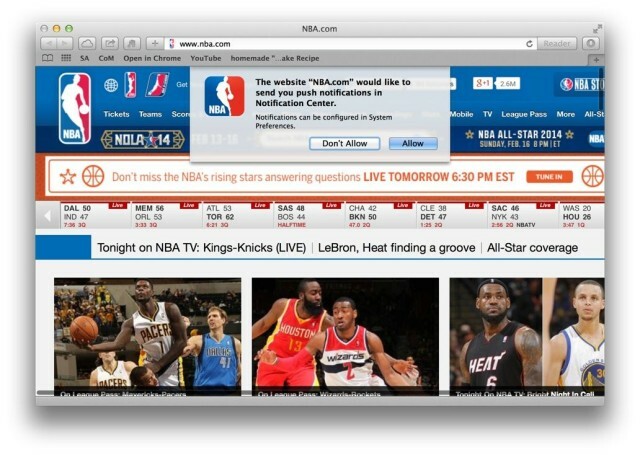 Sites like NBA.com and the New York Times will drop you a dialog box when you visit them for the first time to ask you if you would like to receive the push notifications. If you allow them, all hope is not lost should you reconsider your decision. You can drop right into System Preferences and disable them on a site by site basis. Launch System Preferences and click on the Notification Center icon. You’ll see a list of all the apps and websites that will send you push notifications in a column to the left. Simply scroll down to the sites you don’t want to get notified for anymore and change the banner style to None, and then uncheck the boxes next to Show notifications on lock screen and Show in Notification Center. 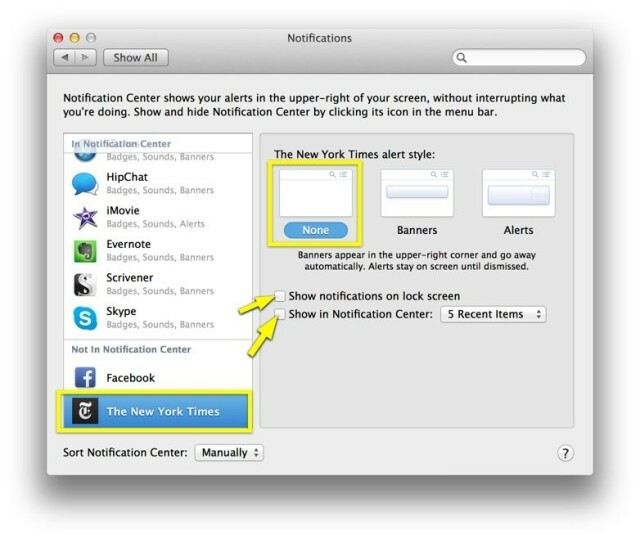 From then on, you won’t get any push notifications from that web page to your Mac. Do the same for all the sites you’d like to stop receiving push notifications from and you’re set.